SPECT is a free adventure game for Windows 8 and 8.1 computers. 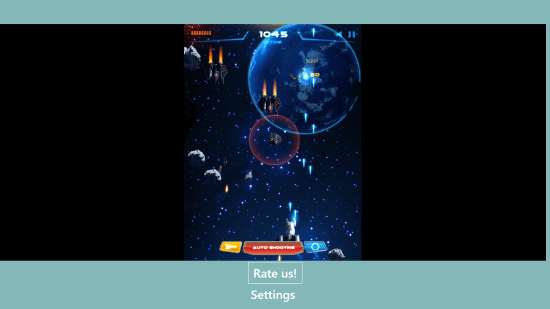 This is an addictive space mission game, and you can’t get enough of it. You are a glorified space fighter, and right now you are on a mission. A heap of aliens are about to attack planet Earth, along with the aliens debris of a massive asteroids are also inbound. You are the front line commander of the mission. 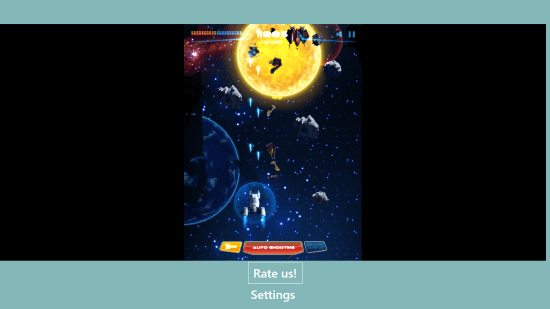 Destroy the alien ships and the debris of asteroid to salvage planet Earth in this thrilling new Adventure game for Windows 8. With a size of 1.20 MB, this adventure game hardly occupies any space on your computer. Go to the Windows App Store to Download and Install this game. Search for the game in the Search bar. Follow the download link at the end of this article, in case you can not find it on App Store. Once you find the App, click on Install option to automatically download and install this adventure game for Windows 8. Click on the big green Play button to begin playing this game. 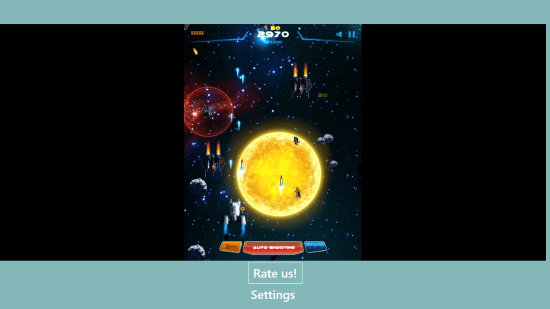 When you begin playing, a bunch of asteroids and alien ships will start approaching you. All you have to do is shoot them down, and save yourself from physical impact or missile strikes. The first heap of aliens are easy to control and shoot down. Slowly the level and strength of enemy increases. Be very careful while playing the game. Switch to auto shoot mode, to kill as many aliens as possible. To move your ship, use the mouse to drag it around, or you can simply use the navigation keys. Turn the Auto Shootingh on, or you will have to click on the gameplay area to shoot. To prevent an early death, you can use the shield to protect yourself. Click the yellow icon on the right of the Auto Shooting button. For a beep impact on enemies, use the missiles. The Missile button is on the right side of the Auto Shooting button. This is an infine adventure game for Windows 8. Keep playing, and killing the aliens to go as far as possible, and make highscore that can not be dodged. Play this awesome adventure game for Windows 8 on your computer or your touch tablets. The gameplay is really smooth, and the graphic is surreal. The sound effects will not bore you at all. Its one of the most addictive game for Windows 8. 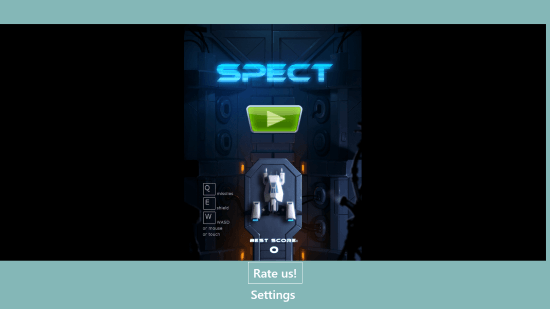 Download SPECT now for Windows 8 and 8.1 computers.